We all know the Germans do great beer, and that they’re no slouches in the spirit department, yet for some reason, people don’t entirely trust them to make a delicious bottle of vino, probably because they've had a little to much to drink themselves, because both German wine and German wine bars can be fantastic. 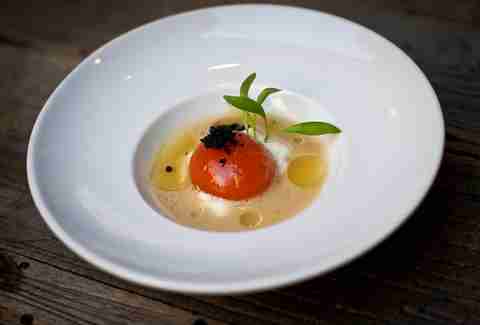 Here are eight Berlin spots that prove it. 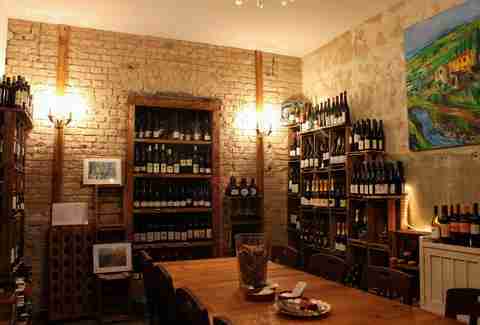 This Mitte wine spot opened in mid-2013 w/ quite the back-story, pulling together several winos incl. Austrian & German sommeliers, a 23yr-old wünderchef, a music label exec, and an indie-film maker. Interested? You should be. 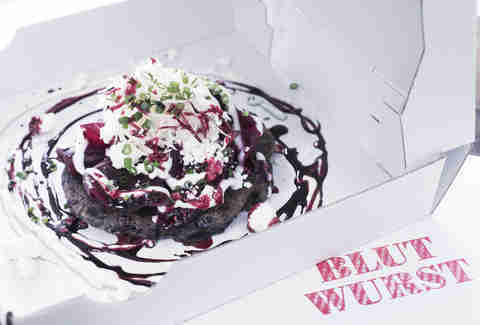 Together they’ve created a go-to spot for great food -- think bar snacks w/ an Austro-twist (like blood sausage pizza) along w/ independent, top-notch German & Austrian wine makers, focused on biodynamic & natural bottles. Why drink the best in Berlin when you can drink the best in Germany? With a whopping 900 bottles, and a Michelin-starred chef behind the kitchen, this Mitte favorite was voted the best wine list in the country, so we’re pretty sure you’re going to find a glass of something you’d like to drink here. For the full baller experience, make reservations for the 10-course tasting menu; if you don’t want to go all out, hit the more casual bar menu downstairs. Tucked near P’Berg’s Helmholtzplatz, this places channels Old World Germany w/ lots of rustic wooden furniture, a menu heavy on traditional dishes (goulash! schnitzel!) and wine barrels sitting around (they call it "aging"). 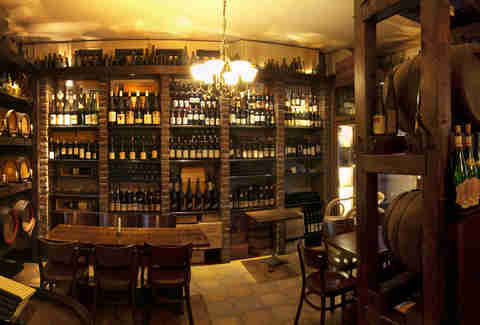 It’s well known as one of the best places to drink German and Austrian wines in the city w/ a cellar full of more than 100 bottles. Former Chef Jan Kreuzinger runs this extremely approachable shop & tasting room, dishing out his cheeky advice for mostly German vinos -- screw cap €6 bottles of Muller Thurgau, Pinot-Riesling hybrids -- alongside a menu of bistro classics like juicy steaks and beef stew. 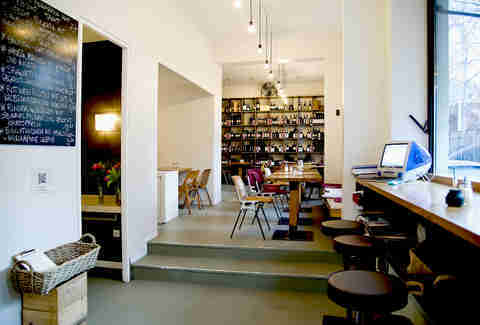 It’s not surprising Vin Aqua Vin is popular: the rustic space and laid-back attitude fits right into the kinda' classy Kreuzberg vibe. You’ll also find Kreuzinger’s own schnapps label, Dry Hazel, on the store’s shelves. 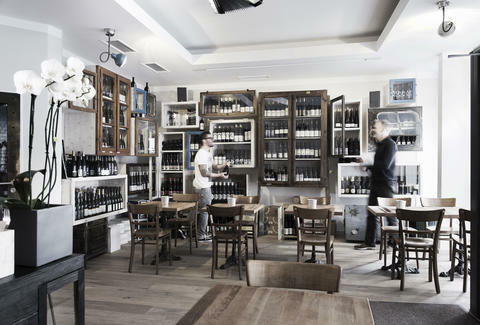 One of the city’s favorite spots for a glass of Italian grape hooch, this Mitte wine bar & shop has a list of more than 200 Italian labels. 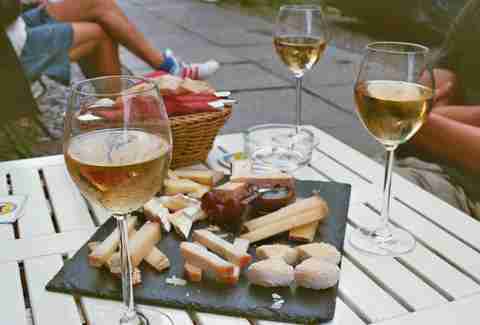 Even better, they’ll open any one of those bottles for you to sample by the glass, nearly all private and small label organic wines, and they also have a great charcuterie platter to bolster their phenomenal homemade pastas. 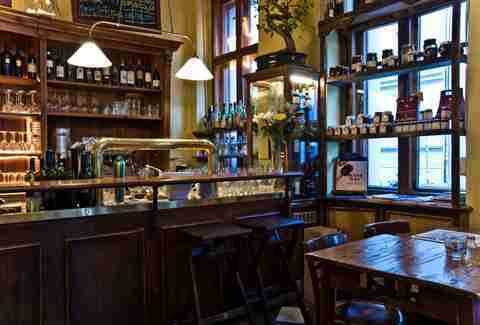 If you’d prefer a glass of Barolo to anything you’re finding on the German list, head to this popular wine bar, tucked behind Mitte’s busy Torstraße. The place is part of a trio of Al Contadino places -- there’s also a restaurant & a mozz bar -- known for their hearty Italian dishes, massive selection of wines, and just-like-Italy friendly hospitality. This P’Berg cheese shop is much loved for its expansive selection of French curds -- more than 50 cheeses directly imported from the source including some of the rarest, smelliest flavors. Two Frenchmen run the show here, and the place also doubles as a tasting café, w/ a handful of tables inside and out & a nice cheese plate that’s available w/ wine. 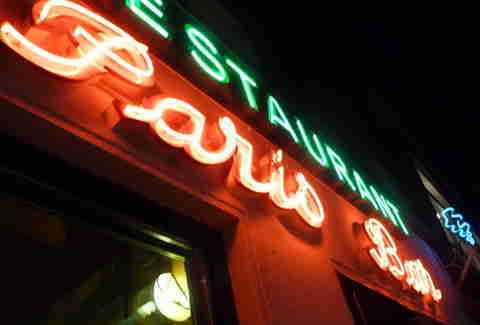 This old-school French resto is more known as a watering hole than for its steak au poivre, and the menu is heavy on bottles from Bordeaux and Burgundy. The tourists come hoping for a celeb sighting -- have your cell handy, b/c everyone from Paris Hilton to Madonna has been spotted here, and you'll need it to call a cab and immediately leave if you spot them.